Hello friends! 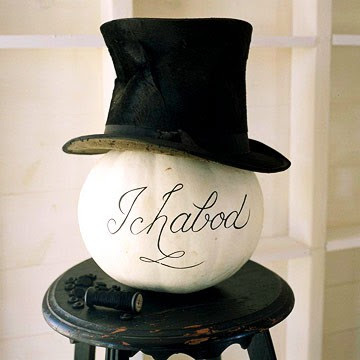 I don't know about you, but I am ready for autumn to be here! Fall is my very favorite time of year, and I can't wait til there's a chill in the air, leaves on the ground, and pumpkins to decorate. Unfortunately in Kansas, it stays pretty warm even through September. It's still in the upper 90s now, but I know fall will arrive soon! I think one of the easiest ways to decorate for fall is simply to place a pumpkin in an urn and surround it with Spanish moss. 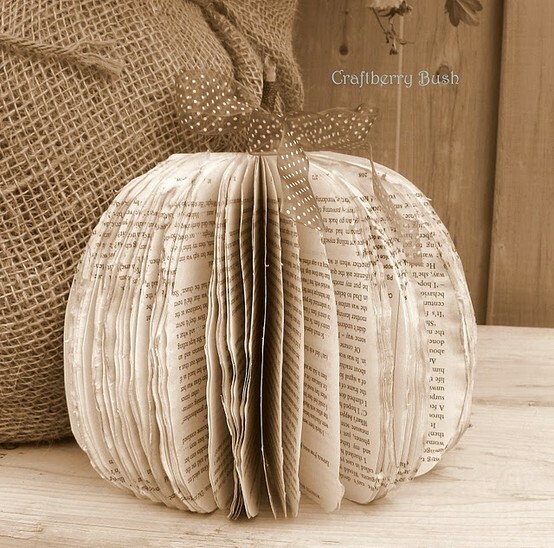 It would make a great centerpiece or mantle focal point. So easy! 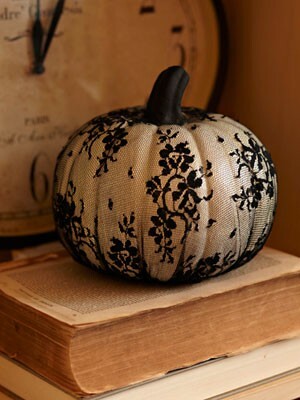 Just pop a white pumpkin in black lace stocking. 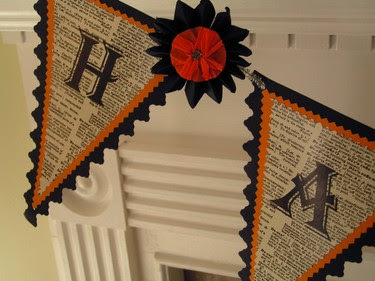 Instant Halloween decor! 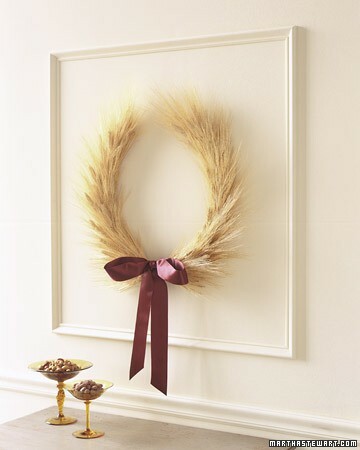 Martha has an easy tutorial on how to make a wheat wreath. I also love the version in the second picture from A Country Farmhouse. This project seems so easy, and it could be used year-round. 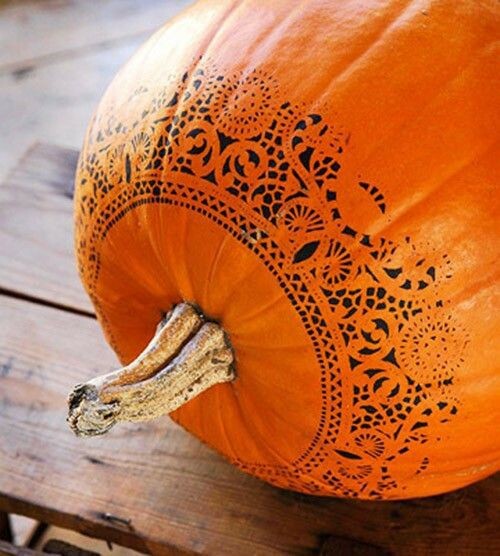 All you need are pumpkins, paper doilies and spray paint and you have a pretty autumn accessory. 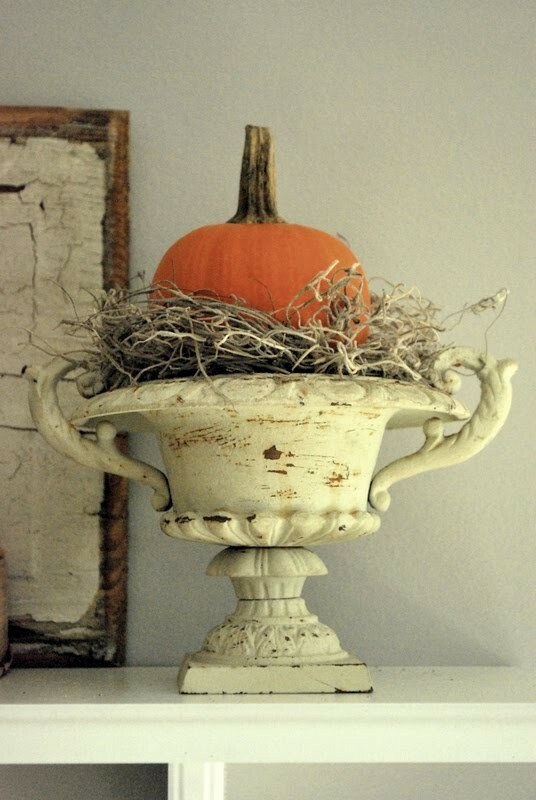 This would add the perfect vintage touch for fall. 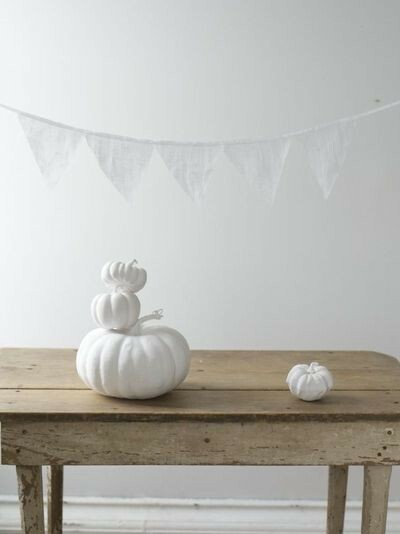 These could be used in so many ways, including as part of a centerpiece for Thanksgiving. 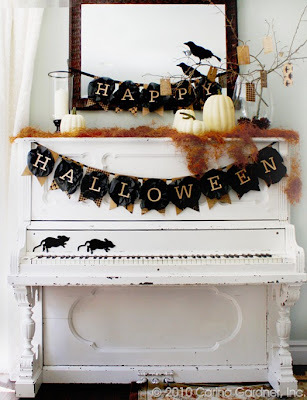 I love decorations that can be used across autumn, Halloween and Thanksgiving looks. 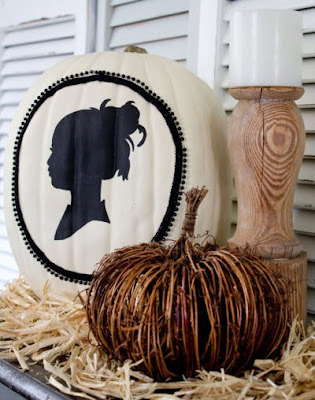 This is my favorite autumn project and I'm so excited to try it! I think the look is gorgeous! I hope I can get all these fun projects accomplished! Of course I'll share the finished results when I'm done! So how about you? 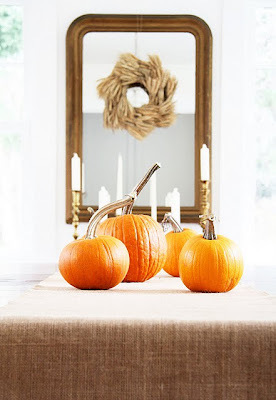 Do you wait each year for fall to come around, or do you hate to see summer go (like my husband)? Do you have any fall projects planned? 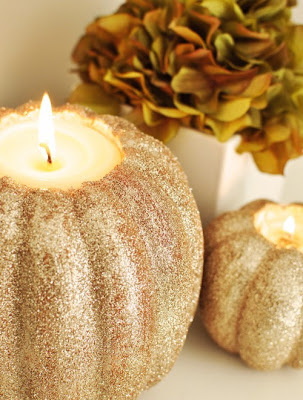 Can we pretty please do the lace pumpkins and sparkly pumpkin candle holders together?! Wouldn't that make such a fun girls night?! LOVE you, bestie! Can't wait until our phone date at 5ish! Can we pretty please do the lace pumpkins and sparkly pumpkin candle holders @ my house - even though I'm not really part of the "girls!" Love all these ideas! Love you! 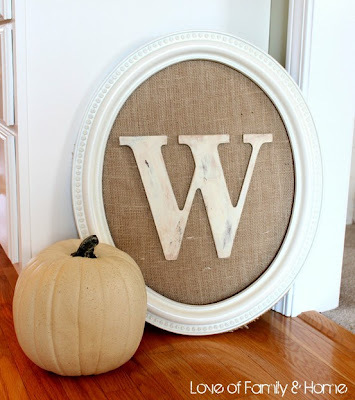 Haha, I linked to two of the same fall pins on Pinterest in my post today! So excited for fall! This is a great collection of ideas! Too much fun!